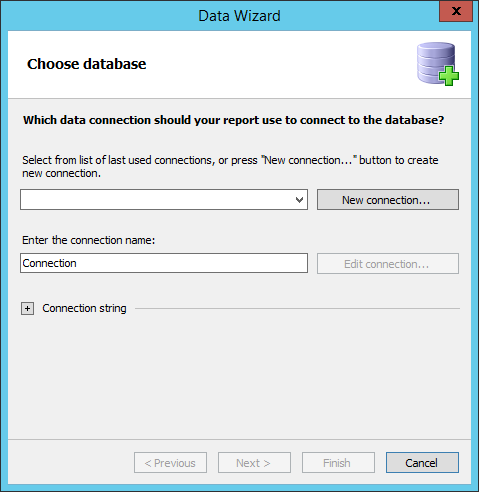 Connecting to MySQL DB from the report - Fast Reports Inc.
1. 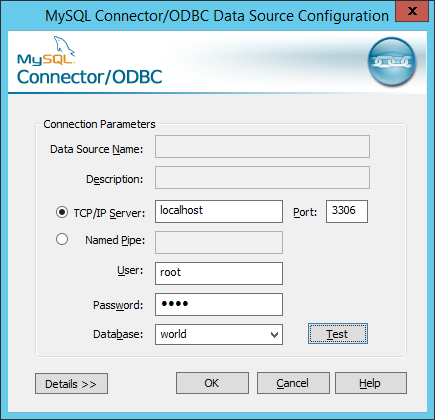 In the first method, you can use special plugin to connect to the MySQL database. This plug-in is a dll library. 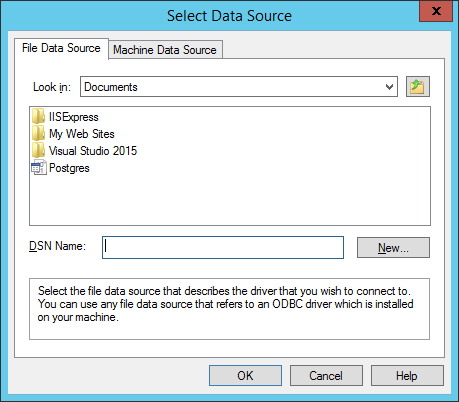 To obtain this library, you need to build the project from FastReport.Net delivery. 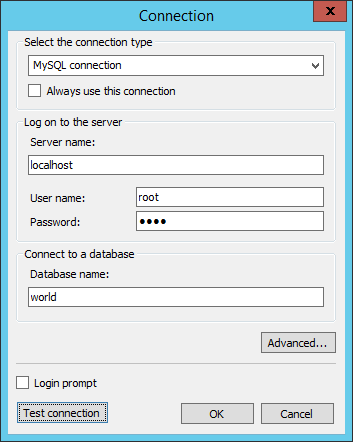 It is located in the folder: FastReport.Net\Extras\Connections\FastReport.MySQL. 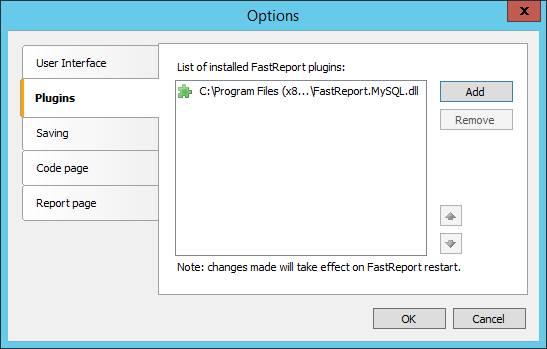 After assembly in the bin folder you will find FastReport.MySQL.dll library. On the Plugins tab add our library by using the Add button. Now restart the designer. Click Finish to complete the wizard. That's all. The obtained data can be used in the report. 2. 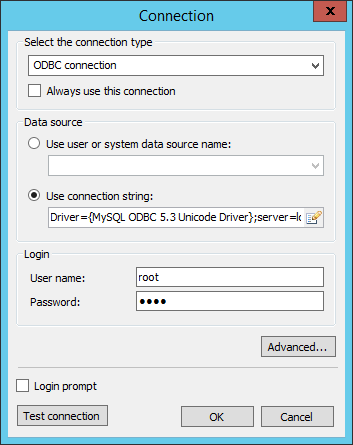 Consider the second method - use the native connector ODBC Driver for MySQL. 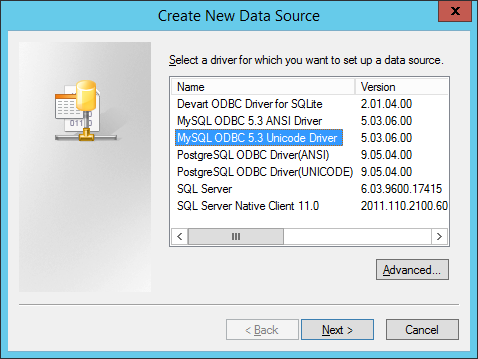 You can download it from the developer - http://dev.mysql.com/downloads/connector/odbc/. The installation does not cause problems - everything is simple and clear. Next, run the report designer and create a new report. 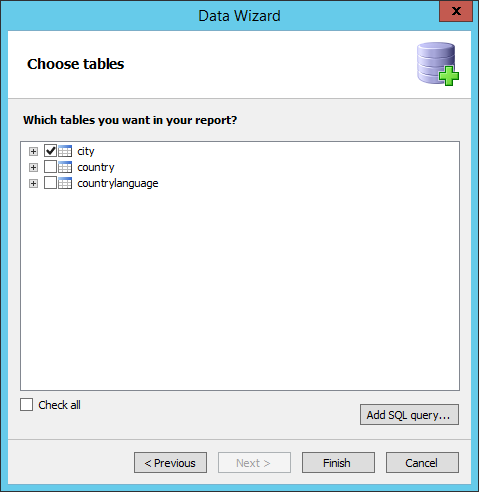 On the Report tab, add a new data source using the icon . 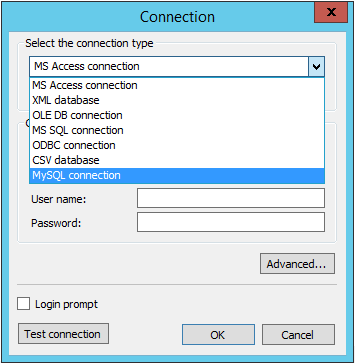 After closing this window, select the created connection in the "Select Data Source" box. Once again we see the connection settings. 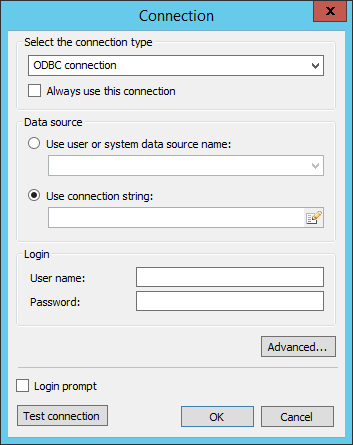 Enter your password and click Ok.
We have considered two ways to create a connection to the database MySQL. The first method is a little more complicated in the beginning, when you want to build a library, but more convenient for subsequent reuse plugin. The second method seemed to me less convenient for subsequent use.